Hurdles include... Saving for Down Payment, Lack of Home Inventory, Access to Credit and Personal Debt. 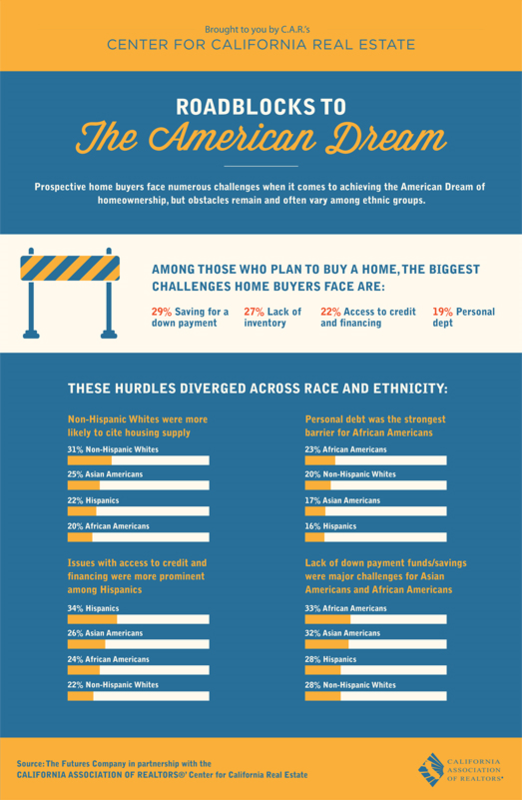 The American Dream of home ownership can be a reality; let's discuss your situation and we will work with other professionals to help you achieve your dream.